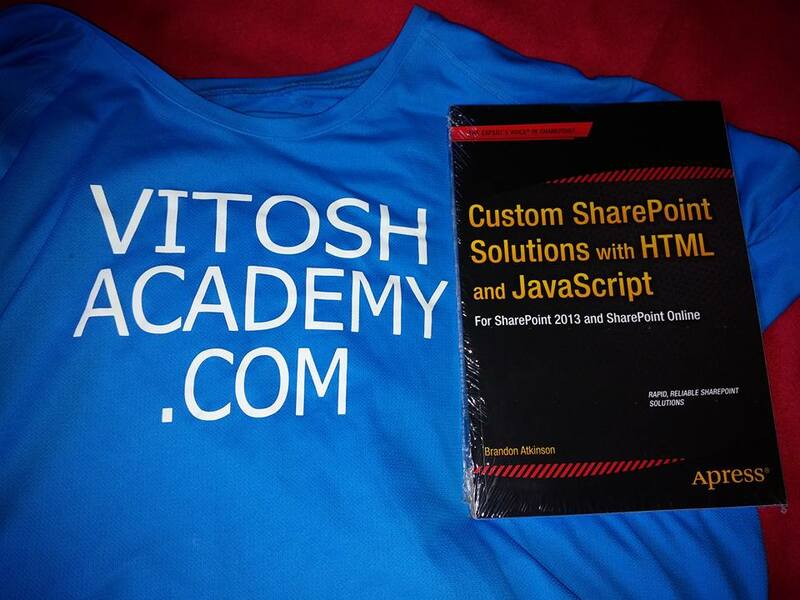 The book is rather easy to read, starting with using of SharePoint browser-based tools. The first chapter is about setting environments, tools and etc. From special “payed” software you need SharePoint and Visual Studio Express (The Express version is free, if that matters). The later chapters cover building own SharePoint parts with jQuery, AJAX, HTML, CSS, JS. The DOM model of JS explained in one chapter pretty well and the REST API is in the last one. The explanations are made with lots of screenshots and text. What I liked was the fact that almost all of the source code of the book was made available for anyone in the Apress.Com site and the step by step approach with explanations. Prerequisite knowledge – you should understand HTML and JS to make the most of the book, it really describes the JS and HTML code, but not for an absolute beginner in the subject. A small minus (which can possibly be not a minus at all) – Sometimes the screenshots go too much into detail, e.g. a picture for creating a new file in Visual Studio or copying a link location, but in general they are ok and quite informative. Pretty much that is my review. The book is informative and well written, if you follow it you would be able to customize a SharePoint site. Thus, I would give it five stars. In case that you would like to vote for my review in Amazon.Com you may do it here. If you want to have your product reviewed, please find my e-mail in the FAQ and NFAQ section.